If you find inaccessible content on our website, or wish to request certain content in an accessible format, please call (352) 527-5795 or email us at: lstout@wrwsa.org. The WRWSA has adopted its Annual Calendar of Fiscal Year 2018-19 Meeting Dates reflecting the Boards monthly meeting on the third Wednesday of each month at the Lecanto Government Building. Mr. Roy Mazur, Senior Project Manager with WRA, will present the report to the Board. At the July 2017 meeting, the Board authorized issuance of Work Order 2017-02 to Water Resource Associates (WRA) to prepare a public facilities report for the Authority. This report is required by Florida Statues. Once prepared, the Authority must file the report with each local government in the Authoritys region, and post the report to our website. The purpose of the report is to provide local governments with information that is pertinent to developing and updating the local governments comprehensive plans. WRA has prepared the WRWSAs public facilities report. A copy is included as an exhibit to this item in the Boards meeting materials. See Exhibit - Special District Public Facilities Report. Board acceptance of the Authoritys Special District Public Facilities Report as contained in the Exhibit to this item. 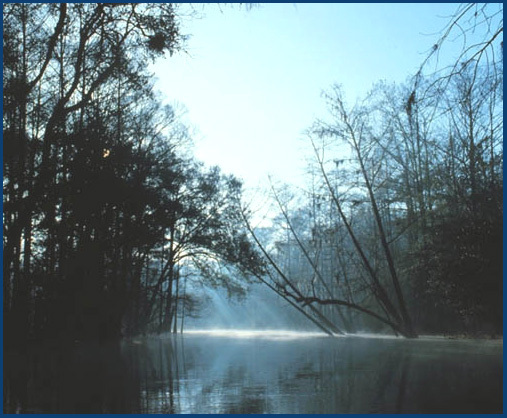 The Withlacoochee Regional Water Supply Authority (WRWSA) will accept applications for its Fiscal Year 2017-18 Local Government Grants Program starting on May 1, 2017. Applications must be received no later than June 30, 2017. This grants program is sponsored by the WRWSA to fund local water conservation projects on a matching basis. The staff will recommend to the Board that the Authority continue to accept grant applications for water conservation-related projects only. Applications and instructions will be available on the Authority web page at www.wrwsa.org by May 01, 2017. Applications will be considered by the Board at its July 19, 2017 Board meeting. Awards are scheduled to be made at the September 20, 2017 Board meeting. If you have any questions about the grants program, please contact me at (352) 293-5955. You may also call LuAnne Stout at the Lecanto Office (352) 527-5795. If you desire to contact me by FAX, my FAX number is (352) 527-5797 and my e-mail address is richardowen@wrwsa.org. LECANTO, FL -- Withlacoochee Regional Water Supply Authoritys Board of Directors representing Citrus, Hernando, Marion, and Sumter counties began the new year by celebrating its 40th anniversary of service to the region, following its regularly scheduled board meeting. Special guests included Representative Stain McClain, Southwest Florida Water Management District Governing Board Member Mark Taylor, retired Authority executive director Jack Sullivan, and a host of local elected officials, water professionals, engineers and staff. An official proclamation of support from Senator Wilton Simpson was presented by newly elected Authority Chairman Nick Nicholson (Hernando County Commissioner), while speakers commended the Authority on its forethought and resilience for working collaboratively over four decades to ensure adequate drinking water supplies for the region while promoting natural resource protection. The next regularly scheduled Authority Board of Directors meeting will be on March 15th at 3:30 pm at the Lecanto Government Building, Room 166, 3600 W. Sovereign Path, Lecanto, Florida 34461. The Withlacoochee Regional Water Supply Authority Regional Water Supply Plan 2014 Update (Plan) is now available and may be viewed on this website at here. The Southwest Florida Water Management District (District), through its Cooperative Funding Initiative, and the WRWSA jointly funded the development of this document. The Plan is an assessment of water demands and potential water supply sources to meet identified demands through the year 2035. Portions of the Plan will be incorporated into the Districts 2015 update of the Regional Water Supply Plan for the Districts Northern Planning Region.